Brick school will be replaced. 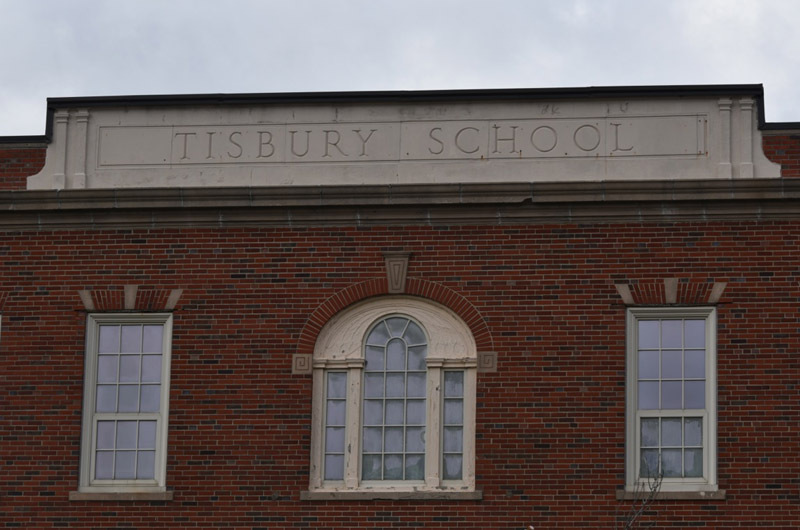 Following a vote by the school building committee Monday night, Tisbury will pursue plans for an all-new three-story school on the current site. The committee voted 11-5 to opt for a new construction over a renovation addition. Principal John Custer said later he is conflicted over the outcome, but excited to move forward. Town and school leaders have been working under the wing of the Massachusetts School Building Authority grant program since January 2016 as they plot a much-needed overhaul of the brick school that dates to 1929. Long known for its academic excellence, the Tisbury School has not seen a major upgrade to the physical facility since the 1990s. Planning for the new building has involved a detailed public process that includes decisions about site, and eventually design and construction. In a close vote early this month, the building committee made a pivotal decision to keep the building on the current site, eliminating an alternative plan to build a ne school on a piece of own-owned land off Holmes Hole Road. The next step in the process was deciding whether to renovate the old school or build new on the site. The decision to go with an all-new school goes against the recommendation of the planning board and selectmen, who had endorsed a renovation/addition, planning board member Ben Robinson told the Gazette in an email Tuesday. He said there appeared to be a disconnect between the townspeople who will vote to fund the project at town meeting and in the ballot box and the school building committee. “I have hard time seeing the town voting to remove a functioning historic school that represents an important and critical piece of the towns history and fabric,” Mr. Robinson said. School building committee chairman Colleen McAndrews said before Monday night’s meeting some committee members said they were unsure if they were ready to vote, but in the end the committee decided unanimously that it was ready. The next phase of the project takes up a schematic design, when decisions will be made about where the new building will sit on the site and the actual design of the project. The process will include public hearings and will likely not begin until fall, Ms. McAndrews said. She stressed that the new school building is a town project and said she is pleased with the result of the Monday meeting. “We are in the wonderful situation from the beginning of this process we had a lot of good options . . . no matter what, we were going to end up with a good project,” she said.